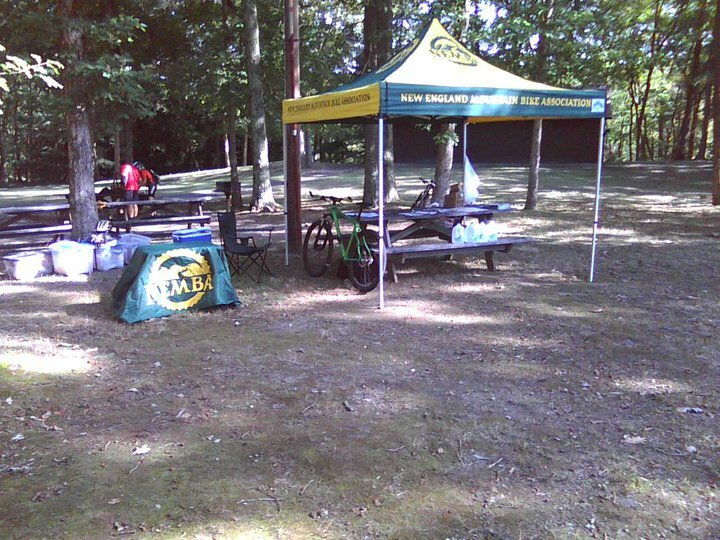 Took the Single Speed to Gay City State Park in Hebron, CT for the annual CT NEMBA Fall Fiesta. We had a pretty good turn out but many of the rides kicked off later than usual, largely because our usual spot, near the entrance to the park was taken by some religious outfit doing some sort of mass baptism. As usual I take the last group of stragglers out with me. This was the first time we ever had a pre-ride mechanical. Joe is seen here putting his wheel back together after replacing a broken spoke that he noticed while riding around in the parking lot. 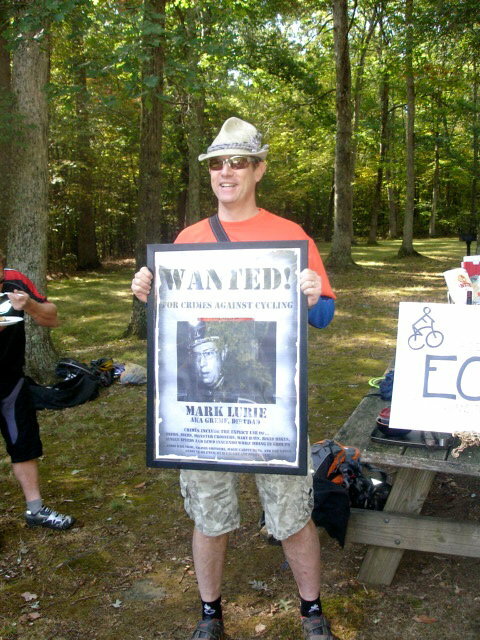 In the meantime, I paid a visit to the ECHO MTB and Fitness Club. 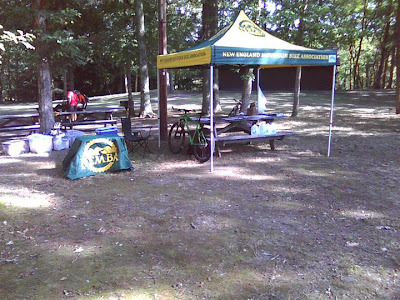 I think this was their first MTB event since the spring. We have been meaning to get together for a Tour de Mesh ride but it never panned out so this was the next best thing. Their usual antics were in full swing buy putting up a wanted poster of me. I think they are just jealous because I ride a single speed 29er, Monster Crosser, and a fixed gear on the roads! Not to mention the inventor of the Fetish Fixation 69er. 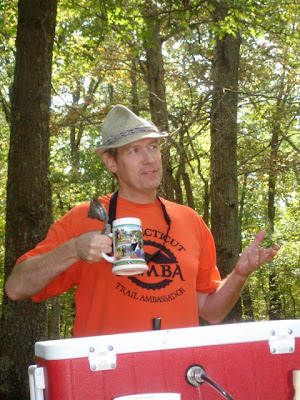 Clem is seen here with his pre-ride morning eye opener: a bottle of Jamison and a Long Trail. After paying my respects I gathered the stragglers and we headed off only to have another straggler drive up as we were heading off. We waiting for him and then we were off. I decide to follow the Intermediate Route which was flagged with yellow markers. 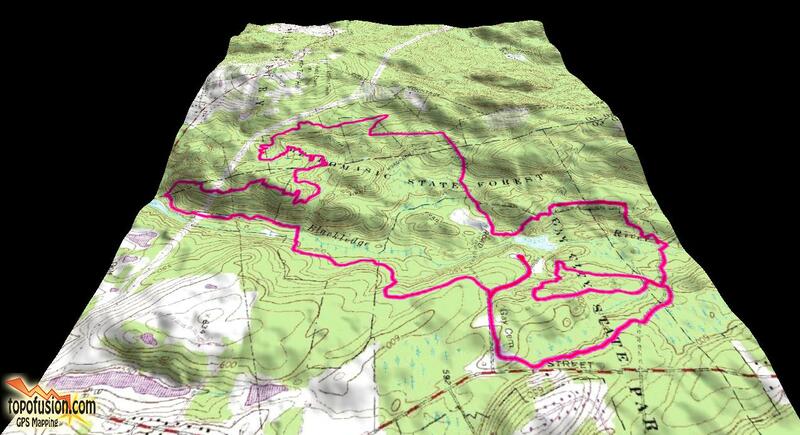 This was an awesome ride that put us on some trails that I had never ridden before. 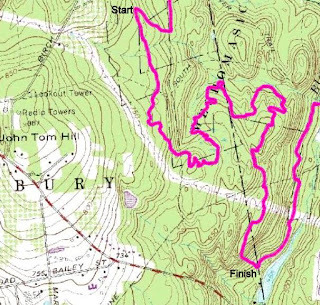 One such trail was the Ribbon Trail which has to be some of the best Single Track in the state of Connecticut! 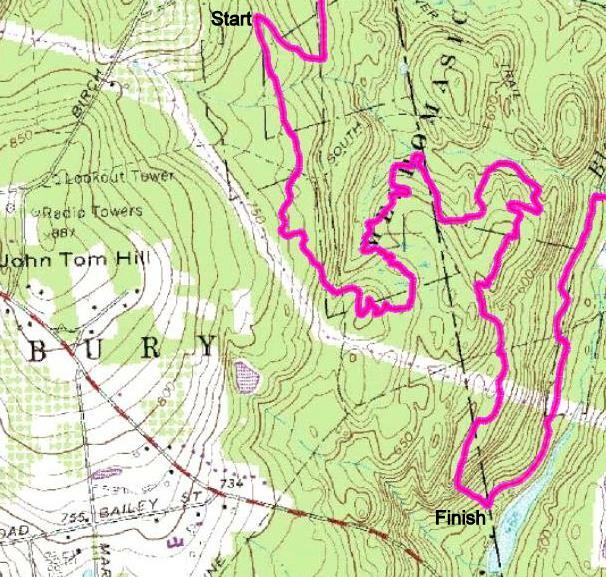 You pick it up off the gas line by cutting up towards Birch Mountain Road and then it's one continual, flowy, windy, curvy descent to the double track in the Black Ledge Falls Park. Sweet single track! There were little hucks and rollers along the way, as well, as some bigger ones, too. Plenty of tech, too! Some of the technical sections reminded me of the Black Diamond Dave trail at Wilton Woods. We got to the power lines by 12:30 and were thinking about cutting a chunk out to get back in time for the Pizza and Swag raffle but then it dawned on me that I had all the swag locked up in my car, so I decided, the group decided to press on and we did! We rode 11.78 miles today. After my presidential duties were taken care of I headed back to the Echo Party to sample some of their infamous Giles Corey brews, which included an Oktoberfest and German Dark Things which I renamed to the actual German: Dunkles Dinge. Nothing beats a good micro after a hard ride! Drinking the Dunkles Dinge while giving my acceptance speech as an honorary ECHO Member. good summary mark.rise from the ash of the summer past,phoenix.see you when the temps dip into the 40"s.